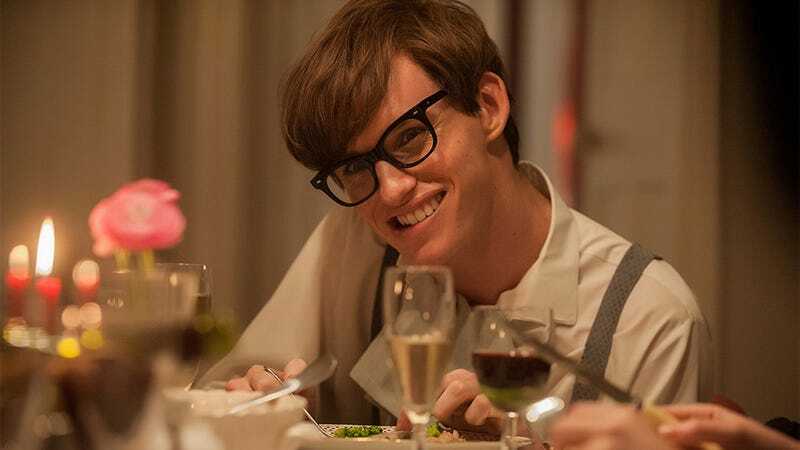 Almost four years after winning Best Actor at the Academy Awards for his performance in The Theory Of Everything, it looks like the film’s leading man is ready for an encore: Eddie Redmayne just announced that he’s going to start acting like he’s paralyzed again. He’s back for seconds, folks! Saying that portraying wheelchair-bound physicist Stephen Hawking was one of the most fun and delightful experiences of his life, Redmayne revealed in a press conference earlier today that he intends to begin pretending like he has lost the ability to move his body and will likely never stop for the remainder of his life. The 36-year-old actor explained that he greatly enjoyed taking on the character of a paralyzed individual, as he got to just sit there and relax while other people did all his work for him, making him feel as if he’d achieved the height of luxury. The actor went on to say that he’ll be ready to start acting paralyzed again very soon, having already purchased an electric wheelchair off of eBay and hired a team of around-the-clock nurses to attend to his needs. He plans to visit an indoor trampoline park at some point in the next couple of days to have one last hurrah with his legs, and after that he will then plop himself down in his wheelchair, where he’ll sit motionless for the next 40-plus years. Redmayne also noted that he has no intentions of retiring from acting and that moving forward he’ll only accept roles that don’t require him to move or talk. Wow! Kudos to Eddie for pursuing his dreams and doing what makes him happy. We can’t wait to see him wheeling around on the big screen sometime soon!